For the seventh straight year, the Panthers are the Colonial League champs! 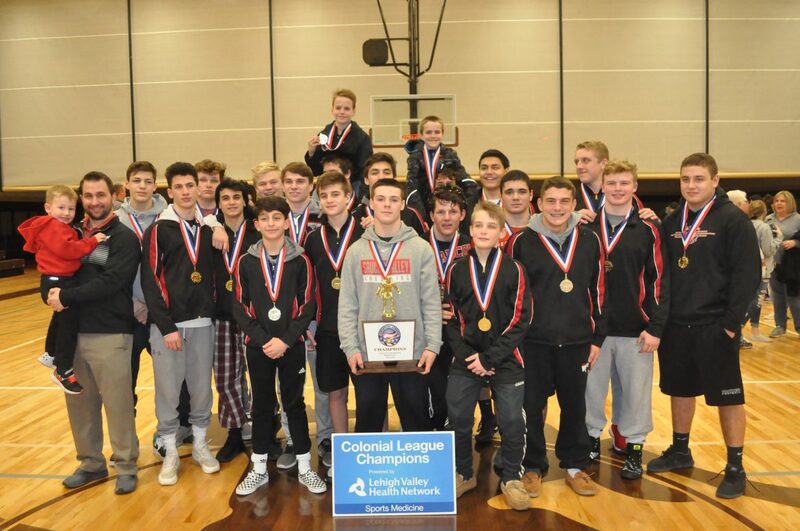 On Monday night, the Saucon Valley Panthers and their fantastic fans once again took the familiar, end of the season trek to Catasauqua High School to compete in the 2018-2019 Colonial League wrestling championships. 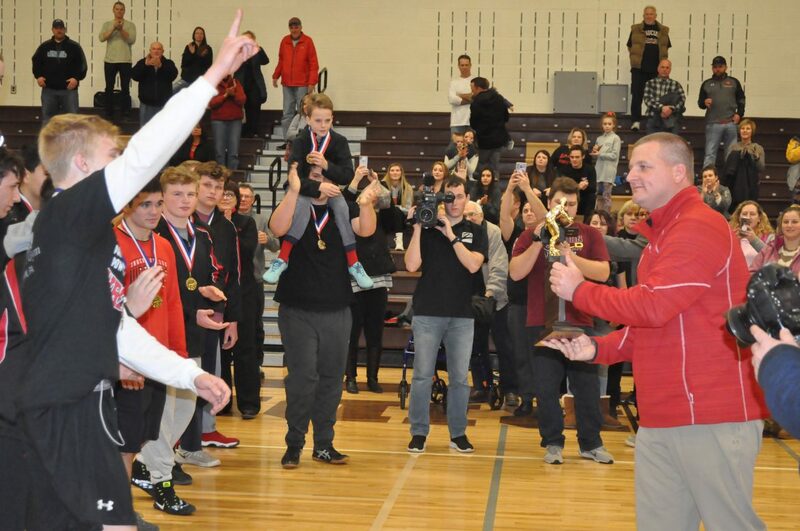 And, for the seventh straight time Coach Shirk & Co. returned home crowned as champions. The Panthers now lay claim to 73 consecutive Colonial League victories to go along with their seven straight league titles. That, is simply impressive. Panther seniors Josh Jones and Nick Rosengrant representing the Panthers just prior to the start of the 2019 Colonial League championship final. 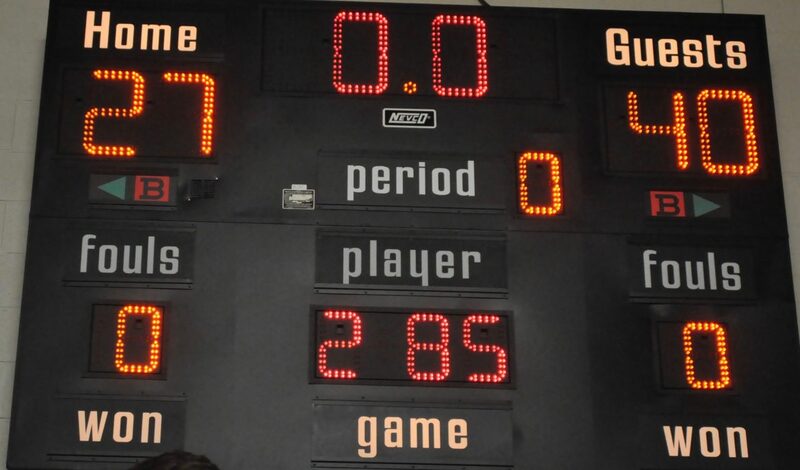 In Monday night’s semifinal the #1 seeded Panthers defeated #4 Catasauqua 68-0. 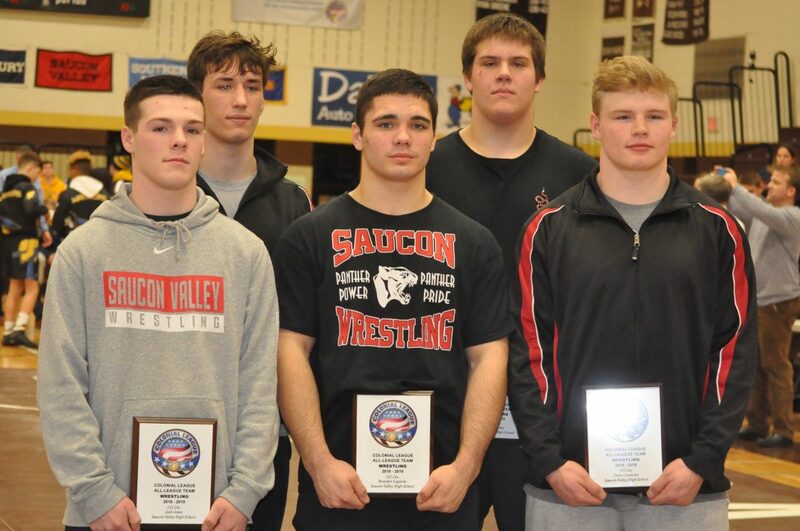 Saucon stormed through the Rough Rider lineup with 5 pins, 3 forfeits, 2 major-decisions and four decisions. Meanwhile #3 Wilson was able to upend #2 Notre Dame with a 33-24 score. By avenging last week’s 36-30 loss to the Crusaders, the Wilson Warriors advanced to face the Panthers in the championship final. 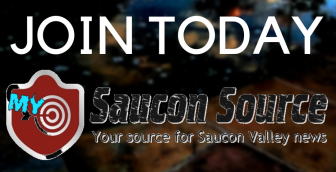 In their first meeting of the 2018-19 season, Saucon Valley defeated Wilson 40-27 back on Jan. 17. Nick Warnke pounces on a pin for the Panthers in the 2019 Colonial League championship final. 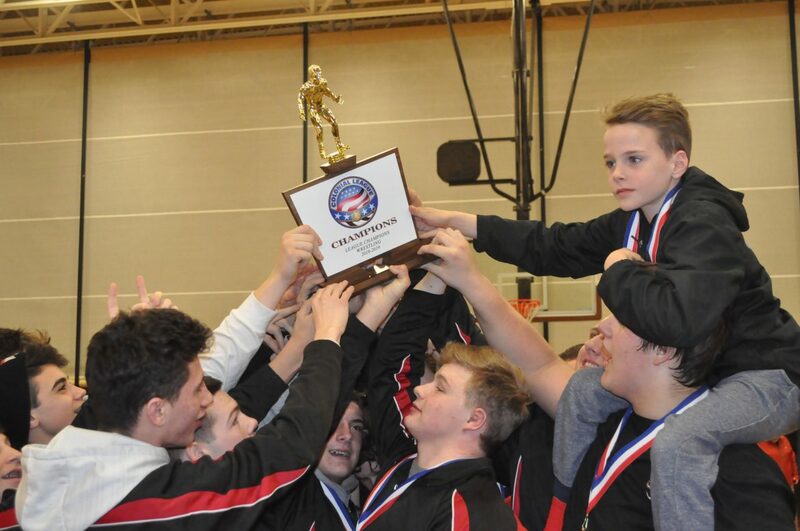 Of the 14 bouts wrestled against the Warriors in the championship final, Saucon Valley won eight. 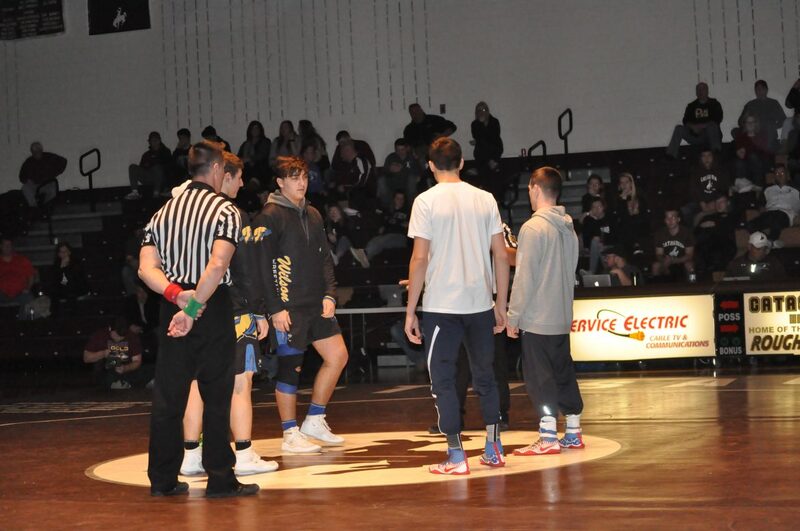 The Panthers received pins from Cael Markle (120), Thomas Spirk (138), Dane Csencsits (195) and Nick Warnke (285). Spirk’s pin quickly came in only :10 seconds, but more importantly his win gave the Panthers their first lead of the evening. 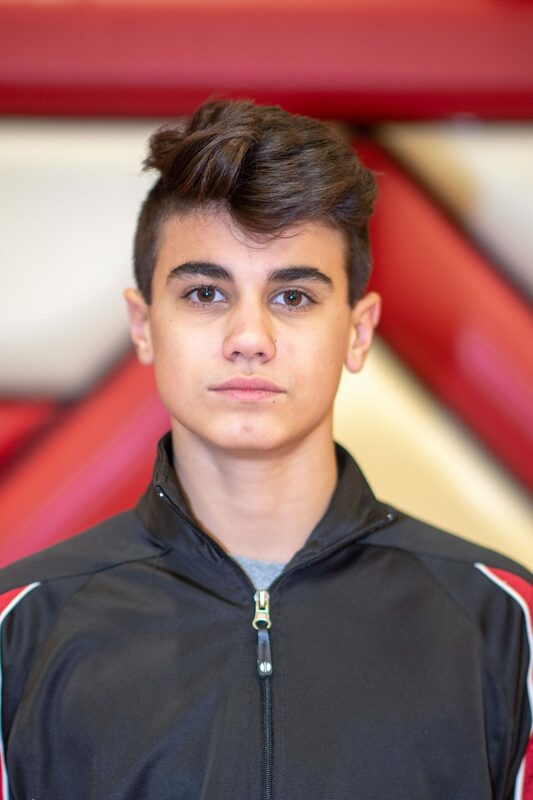 Saucon Valley junior Thomas Spirk made quick work of his Warrior opponent in the 2019 league final. 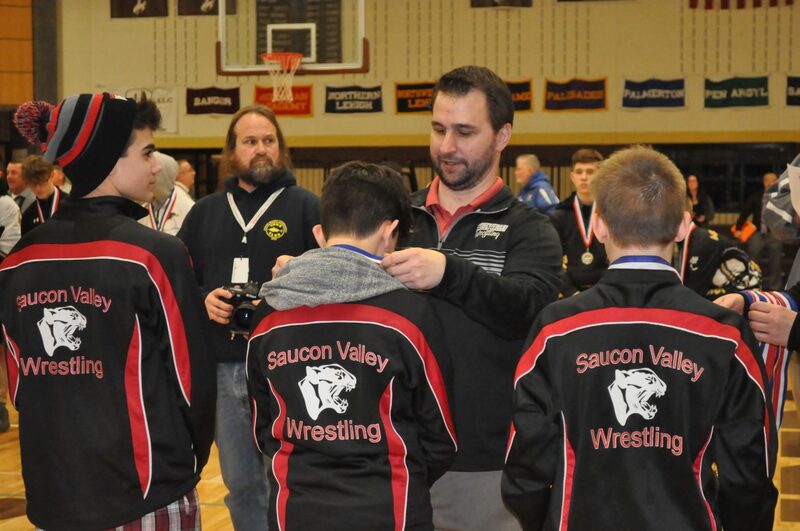 Saucon Valley also received bonus points from the efforts of Josh Jones (132), Ty Csencsits (152) and Matt Arciuolo (160). 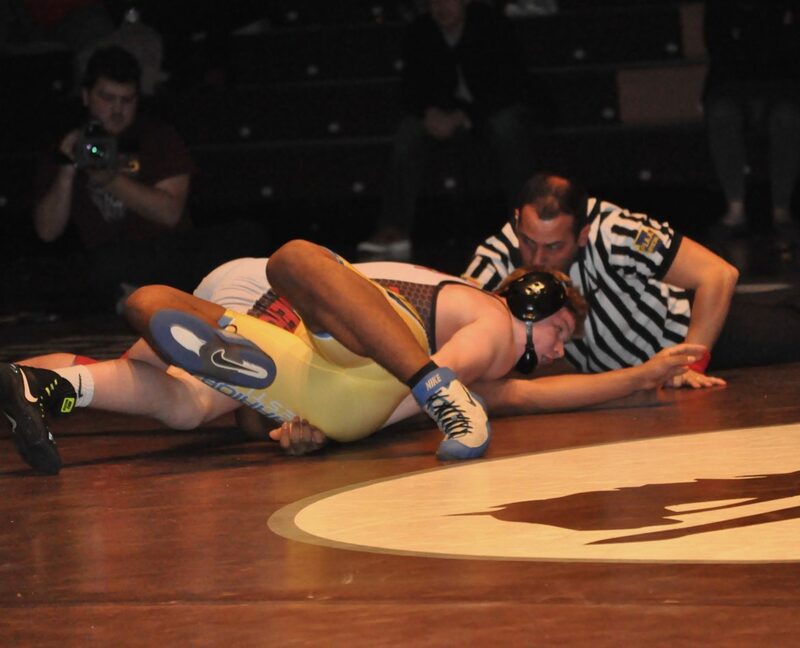 Jones recorded a 16-0 tech-fall, while Csencsits and Arciuolo both produced major-decisions. Csencsits’ victory reclaimed the Panther lead at 21-18 against the Warriors. In his much anticipated rematch with Wilson’s Cayden Trimmer, Jarrett Hirschbeck (170) wrestled well. 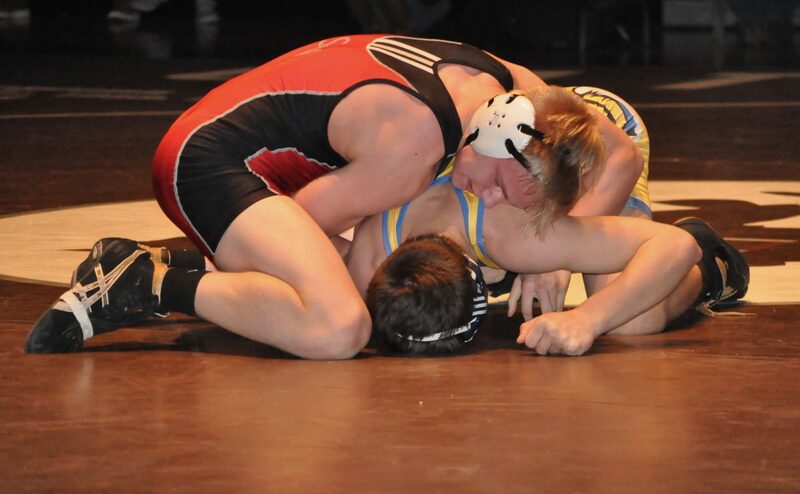 Clinging to a 4-2 lead in the third period, Hirschbeck converted a late takedown to lock up a 6-2 decision for Saucon. Saucon senior Josh Jones picks up near-fall points on his way to a 16-0 tech-fall. Wilson fought back with falls at 113, 126 and 220. In addition, the Warriors picked up decisions at 106, 145 and 182. However, the Warrior efforts came up short and the Panthers were, once again, victorious by a 40-27 score. For the seventh straight season, the Panthers were crowned as the Colonial League champs. 106- Caden Poff Fr., Wilson, decision, Connor Nicholas Fr., 5-0. 113- Blake Sheridan Fr., Wilson, pinned Ermal Duka So., 1:32. 120- Cael Markle Fr., Saucon Valley pinned Blaze Hartrum Fr., 5:15. 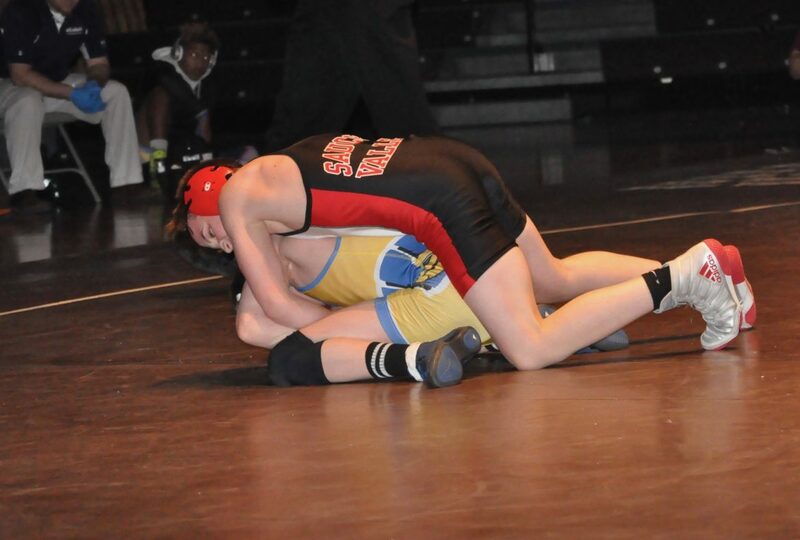 126- Carmen Rawlinson So., Wilson, pinned Kevin Dyer Jr., :30. 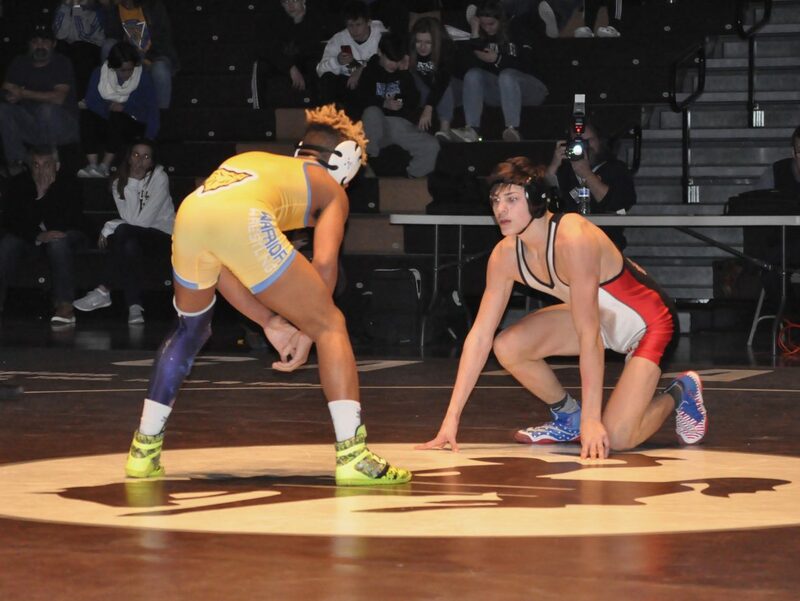 132- Josh Jones Sr., Saucon Valley, tech-fall. Dustin Hunara Jr., 16-0. 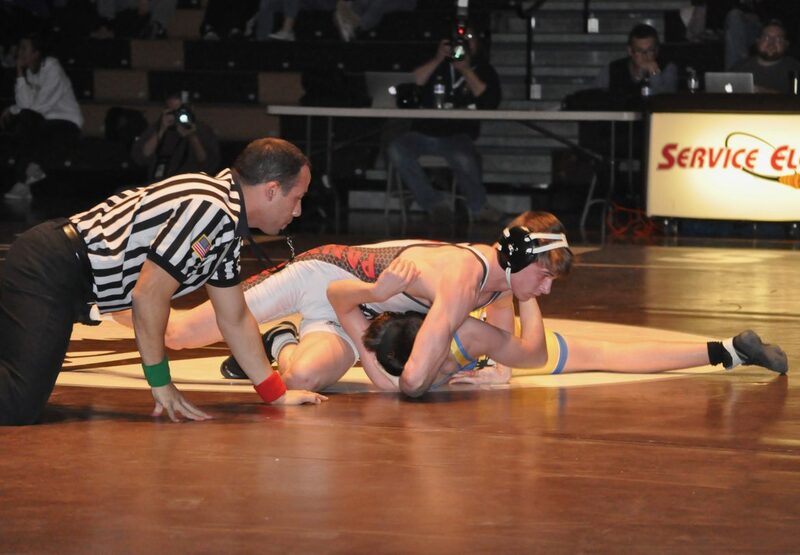 138- Thomas Spirk Jr., Saucon Valley, pinned Scott Horton So. Fr., :10. 145- Marckis Branford Sr., Wilson, dec. Nick Rosengrant Sr., 8-2. 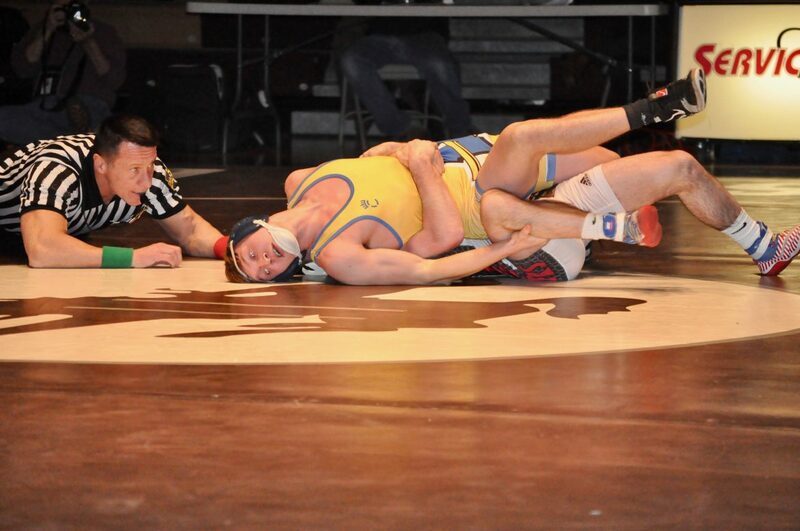 152- Ty Csencsits Fr., Saucon Valley, maj-dec., Owen Pelonero So., 20-7. 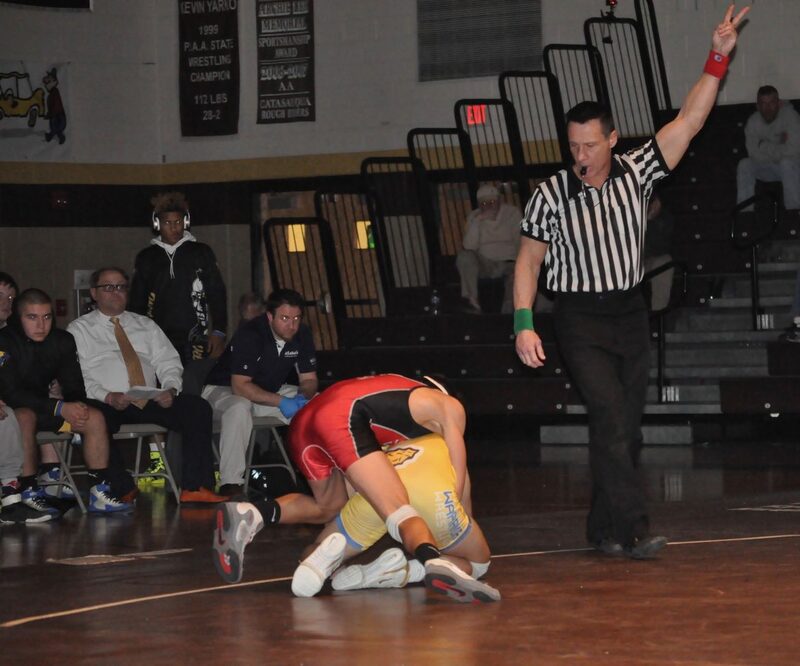 160- Matt Arciuolo Jr., Saucon Valley, maj-dec., Anthony Micci Jr., 13-4. 170- Jarrett Hirschbeck Sr., Saucon Valley, dec. Cayden Trimmer Jr., 6-2. 182- Alec Snyder Jr., Wilson, dec. Brayden Lugardo Jr., 6-2. 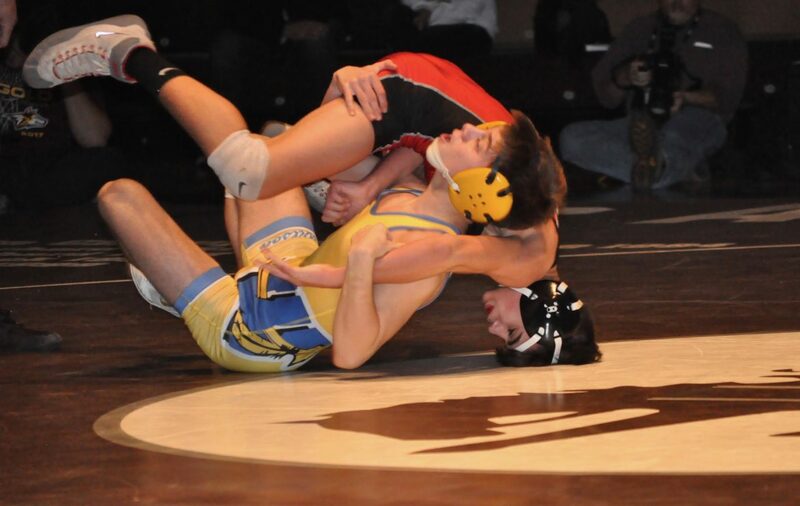 195- Dane Csencsits Jr., Saucon Valley, pinned Austin Wickham So., :36. 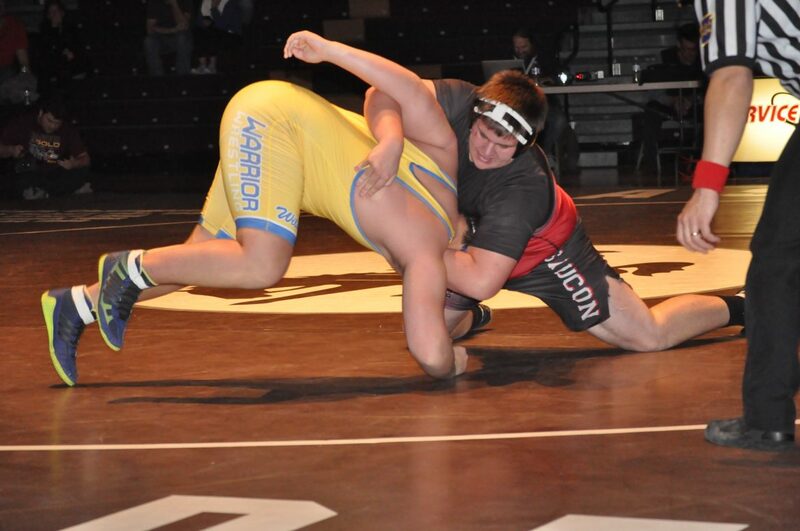 220- Kolby Flank Jr., Wilson, pinned Mick Sullivan So., 1:00. 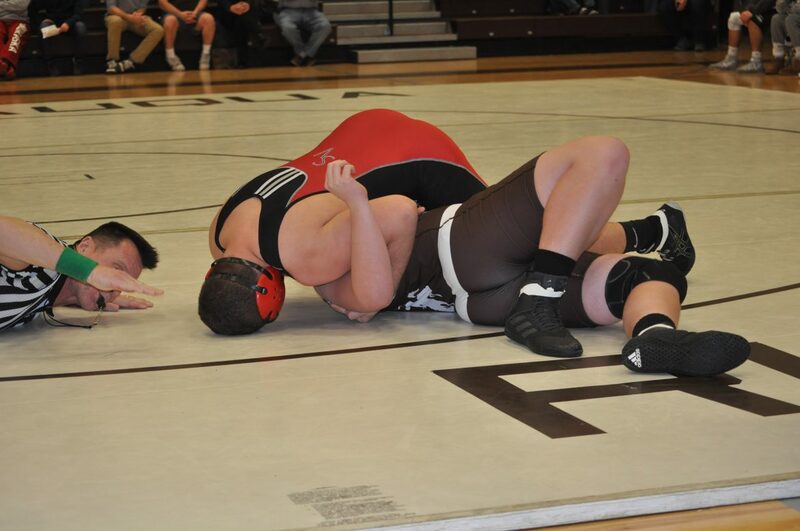 285- Nick Warnke Jr., Saucon Valley, pinned. Roger Russell S0., 4:43. Prior to the championship final, the Colonial League All-Stars were recognized. Up Next: The PIAA District XI Championships! As District XI’s #1 seed, Saucon Valley will take on the winner between #8 Catasauqua and #9 Jim Thorpe on Thursday, Jan. 31 at Northampton Area High School. The Panthers are scheduled to hit the mat at 7:30 p.m. If the Panthers advance, the District XI semifinals (10:45 a.m.) and finals (5:30 p.m.) are scheduled for Saturday at Freedom. Saucon Valley and Wilson squared off in the 2019 Colonial League final.